Is it really a crime to break your own Android or Iphone, or is it a right? Read this and decide! (EFElectronic Frontier Foundation (EFF), who wants to protect jailbreakers and users creating remix videos againts Digital Millenium Copyright Act (DMCA) has went into action. The lawyer of EFF, Marcia Hotffman said that, DMCA actually aims to prevent copy right misuse, but it is misused for who wants to make their devices more secure and functional. The rights that EFF won in 2010 for smart phones and remix videos is about to expire in these days. So, EFF invites Copyright Office not only to renew these rights but also extend them. 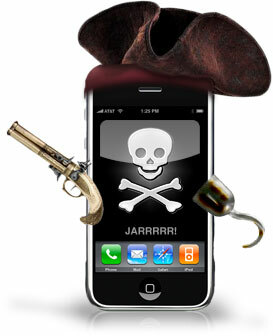 What EFF wants is to protect cell phones, tablets and game consoles from jailbreak. EFF also wanted legal protection for the artists who creat new videos from internet videos or DVDs.Copyright Office wants to get views from public. ← The Final Version Of Firefox Is Released!